Welcome to the website of the Yale Debate Association (YDA). We are the most successful intercollegiate debating society in North America and are currently ranked third in the world. 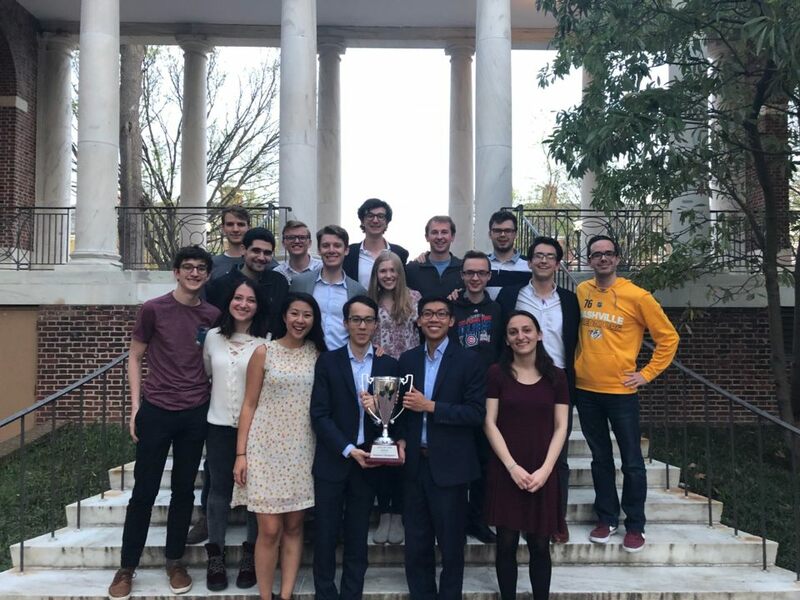 As Yale's only competitive intercollegiate debating organization, we compete in the American Parliamentary style of debate as a member of the American Parliamentary Debate Association (APDA) and in the British Parliamentary style as a member of the US Universities Debating Association (USUDA). We represent Yale both across the country and around the world. Our alumni include former US Presidents, a Secretary of State, several members of Congress, and dozens of leaders in law, business, medicine, journalism, academia, and the arts. We are committed to developing talent wherever we find it, and have the most effective novice training program in the country. Join us, and become part of the history. Keep up with us on Twitter and Facebook. 2018, 2014, 2009, 2007, 2003, 2001. Est. 1981. 2015, 2013, 2008, 2007, 2003, 2001, 1991. Est. 1987. 2018, 2017, 2016, 2015, 2014, 2013, 2012, 2011, 2010, 2009. Est. 2008. 2019, 2017, 2011, 2009, 2007, 2006. Est. 1992.